Having once served as prosecutors for the state of Rhode Island, our attorneys understand the tactics the government uses to build its cases. Armed with this knowledge, we are able to devise the most effective defense strategies possible to help you protect your rights and preserve your freedom. In all other areas, our attorneys use their extensive litigation experience to advocate strongly on behalf of your best interests, delivering the personalized attention you deserve in order to achieve the results you expect. 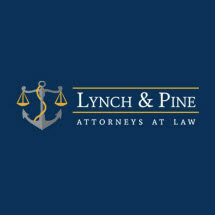 Whether your legal issue relates to a recent arrest, an impending divorce, an injury or loss caused by another party's negligence, or a business dispute, you can trust Lynch & Pine LLC for the assistance and support you need. For a free case evaluation, you can contact our law firm to schedule an appointment with one of our dedicated attorneys.